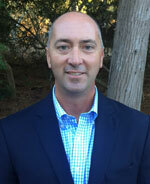 Scott Ferreira brings more than 20 years of experience in the golf industry as he joins the team at Corral de Tierra Country Club. Most recently serving as the Head Golf Professional at Round Hill Country Club in Alamo, California, Scott spent many years at facilities on the Monterey Peninsula including: Pasadera Country Club, Carmel Valley Ranch and Poppy Hills. Scott’s private club experience extends beyond the local region, as he also spent time at Lahontan Golf Club in Truckee, California and The Country Club at DC Ranch in Scottsdale, Arizona. Scott has a great appreciation for the traditions of the game and takes great pride in providing exceptional services for his golf membership. An interactive and social approach makes his operation a warm and welcoming environment for members and guests alike. Scott also enjoys creating a fulfilling environment for his staff with a special emphasis on personal growth within the industry. An avid sports fan, Scott attended Cal Poly San Luis Obispo where he played baseball while studying Recreation Administration. Scott became a member of the PGA of America in June 2001. Scott’s wife Heather also works in the hospitality industry, most recently as the Director of Catering & Events at Round Hill Country Club. The two enjoy spending time with their two son’s Andrew (13) and Braden (10). While the boys enjoy golfing with Dad their passion is on the Pitch as they are both accomplished Soccer players.